First-time investors face a number of risks when getting started in the world of commercial real estate investment. Even if you have experience with investing, commercial real estate presents its own series of unique challenges. However, through conducting research and surrounding oneself with knowledgeable professionals, a first-time investor can eventually build an impressive real estate portfolio. Before diving into the world of commercial real estate investment, be sure to read these top ten tips. Real Estate Investment Trusts (REITs) were established by Congress in 1960. REITs are similar to mutual funds in that they provide investors with the opportunity to obtain some ownership of income-generating commercial properties. REITs are liquid, and they are frequently traded on stock exchanges. Therefore, REITs often act similarly to buying and selling a share of a company’s stock. Additionally, because REITs must distribute 90% of their taxable earning to shareholders, REITs do not pay a business tax cost. The REIT industry is highly profitable as well. Over the past five years, the REIT industry has generated more than $96 billion annually. REITs are a strong introduction to commercial real estate investment, because they are professionally managed. As an investor in an REIT, you serve a more passive role. However, if you want to be a more active investor, then consider moving forward without an REIT. While REITs have some benefits, commercial real estate investment comes with its own series of tax benefits. The 2017 Tax Cuts and Jobs Act changed how tax benefits behave in commercial real estate. A 20% tax deduction can be applied to partnerships and LLCs that investors and shareholders work with. This tax deduction comes with some income-based restrictions, yet for qualifying investors, it can be a beneficial deduction. Commercial real estate investors can apply a depreciation tax break on rental properties. This deduction aids in covering the cost for wear and tear. This depreciation deduction is permitted to investors over several years, as dictated by the IRS. Understanding the tax benefits of investing in real estate – and properly taking advantage of them – can help an investor gain even more profit from their commercial real estate investment. Click here for recommended tax advisors. Residential properties fill more easily than commercial, because residential housing is a necessity for all families. Occasionally, commercial real estate can face a longer vacancy period between tenants. You will need to expect that the process of investing in a commercial property will take time. However, the extended time that goes into preparing a commercial property for investment has long-term benefits. A commercial real estate investor will need to be patient. While it can take longer to find a tenant to fill a commercial property, that tenant can also stay for many years. Click here for a list of highly regarded real estate advisors. Compared to residential properties, commercial real estate properties often have multi-year lease agreements. Longer lease terms can be beneficial, because they guarantee a more stable capital gain: with a longer lease comes a longer rent collection period. Additionally, since commercial real estate properties generate income, they can be a more lucrative investment compared to other investment projects. It will be necessary, however, that you understand the lease terms. Many cities and counties have various policies surrounding rent control and lease agreement guidelines. Take the time to learn your property’s local lease policies in order to take advantage of longer lease terms without violating a tenant’s rights. Click here for commercial lease advisors. The benefit to investing in commercial real estate is that you only operate during a commercial business’ hours. This is unlike residential real estate, where issues can occur 24/7. However, you must be prepared for emergency maintenance issues. Maintenance issues and emergency repairs will require knowledgeable, licensed professionals: plumbers, electricians, locksmiths, and janitorial services are some of the most important professionals that your investment property will need to have on hand or on call. Additionally, New Jersey’s winters can cause snow or ice to interfere with roads and parking lots. You will need to obtain a snow removal service as well, in order to ensure that roads are kept clean and safe on your property. Building a team will allow you to prevent long-term damage. Click here to meet the “quarterback” for your team. Commercial real estate properties come with a unique set of legal risks. A road-clearing service is vital because failing to keep roads clear could lead to a slip-and-fall lawsuit. In addition to potential slip-and-fall lawsuits, other common issues include patrons being hit by cars in parking lots. If your commercial business is in the restaurant industry, then there are food-related risks that will need to be accounted for. Another risk to food services real estate is that the business will likely default on their lease at some point during their rental period. These businesses, including restaurants, grocery stores, and bars, sometimes go through a variety of highs and lows. An investor in this sector will need to prepare for such an event in the lease agreement. However, while these risks are something to prepare for, commercial properties can be lucrative. In 2017, food and retail services sales reached a total of $5.75 trillion. Additionally, some businesses are migrating online, which is changing the structure of their brick-and-mortar hours and services. Banks, for instance, are moving toward installing more ATMs and reducing the amount of bank tellers, which adjusts the operating costs of the business. Be prepared for the risks of commercial real estate; however, in taking a risk, you can also reap the reward of your investment. Investing in a property that is undergoing substantial renovations is not necessarily a bad investment; rather, it is important that you understand the building timeline. Building and renovation permit policies can vary by county and by township in New Jersey. The building permit approval process can take months – in some cases, even years – to complete. In many cities, there are fees that must accompany an application for a building permit as well. Investors may need to be prepared to cover the application fee cost. Taking the time to understand the process can help you determine how long it could take before a business can return to full operating capacity. Due diligence is the process of a potential investor examining a real estate property, ensuring that their efforts will see a return on investment. This process can include substantiating a property’s financial and legal documents, physically inspecting the property for damages, and uncovering any other flaws in the property. If a number of issues are discovered during due diligence, then purchase agreements can be cancelled. It is better to take the time to conduct due diligence than to run headfirst into an investment: if you choose to invest in a property that has numerous issues, then you could be wasting your money. You need to do your research, otherwise you may end up investing in a property that is doomed to fail. Due diligence can also help you determine if the property’s location will add or subtract from its value. In order to maximize your investment, you will need to heavily research neighborhoods. Location can have a direct impact on the value of a property. Take the time to learn a neighborhood’s statistics, such as population growth, crime rate, and median income. Research can help uncover if there are busy seasons in an area’s rental market. Remember that landmarks can also inhibit or improve a property’s value. Bridges, for example, never move. While highways can be relocated, a bridge will always bring consistent traffic. Waterfront properties or main street properties can also have more value. Conducting market research and understanding the area’s competition and rental rates will help you make an educated investment. Investing in commercial real estate cannot be a passive investment. As a future investor, you must be prepared to follow trends in your property’s market, as well as understand demographic shifts that can occur over time. A successful investor is one who actively engages with their properties. As stated earlier, obtaining a team of professionals is vital in commercial real estate investment. Building those relationships and getting to know your team will be beneficial in future projects. If you are seriously considering commercial real estate investment, then you must be prepared to continually conduct research and work with your team. The only barrier to entry in commercial real estate investment is a drive for success and an understanding of the benefits and risks. 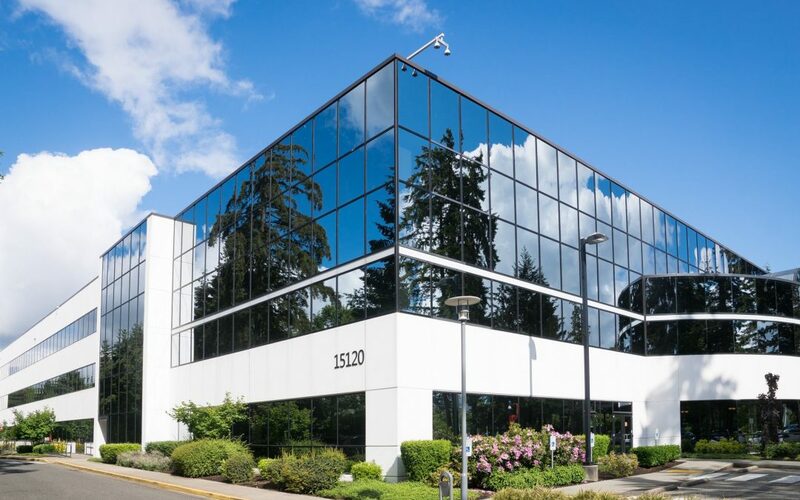 Commercial real estate investment can have massive payoff, due to tax deductions, longer lease periods, and profitable commercial industries. Successful investors, however, are patient researchers who value making one educated investment over five rushed investments. Being amicable and active in your role will also help build strong relationships with auxiliary industry professionals. Through synthesizing these top ten tips, a first-time commercial real estate investor can find success themselves. Click here for more information.